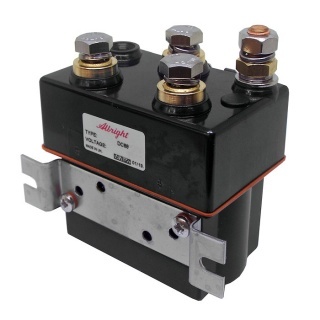 Albright 12 volt dc motor reversing solenoid contactor, continuous. The DC88-313P IP66 protected series of contactors has been designed for direct current loads, particularly motors as used on small electric vehicles such as light industrial trucks, powered invalid cars, etc. They have double breaking main contacts with silver alloy contact tips, which are weld resistant, hard wearing and have excellent conductivity. 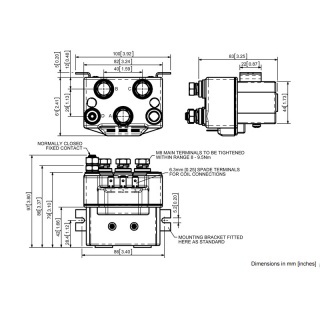 They are economical in price and compare favourably with sealed automotive style solenoid switches which cannot be serviced or inspected for contact wear. The DC88 is a monoblock construction, resulting in a neat compact design which is compatible with modern electronic control systems. 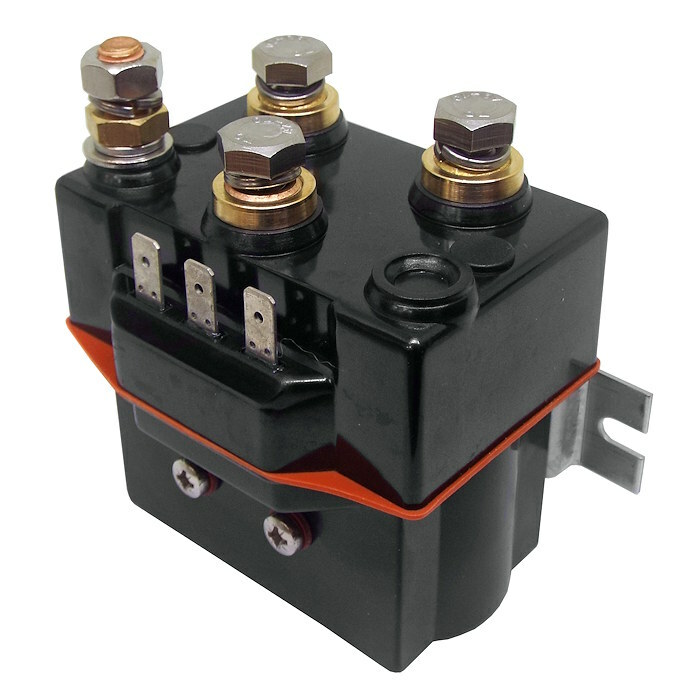 Continuous contactors by design are predominantly used for drive functions on vehicles, they make and break slower than intermittent solenoids and are recommended for prolonged contact periods. 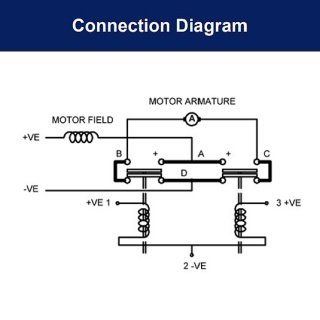 The main contact circuit, designed for motor reversing, has a built-in failsafe, so that if both coils are energised simultaneously the contact arrangement is open circuit. The DC88P has double breaking main contacts with silver alloy contact tips, which are weld resistant, hard wearing and have excellent conductivity. Coil connections are by means of 6.3mm spades and mounting is via the supplied bracket and can be horizontal or vertical, when vertical the M8 contact studs should point upwards.